Friday, January 26th, 2018 – BETDAQ has today introduced a flat-rate 2% commission as the first stage of its #ChangingForTheBettor campaign. All current and future customers will benefit from the reduced commission that applies to all sports and markets on the platform, which matched in excess of £4bn-worth of bets in 2017. The customer feedback-driven move marks a change to the company’s terms of business, rather than a short-term promotion, and is aimed at growing its player-base and market share. Founded in 2000, Ladbrokes Coral Group-owned BETDAQ is dedicated to providing the best possible user experience on a highly-trusted and ultra-reliable platform that has avoided an unplanned outage for more than 400 days. Shane McLaughlin (pictured), Director of Exchange, Ladbrokes Coral Group, said: “We have listened to our customers and are proud to be launching the #ChangingForTheBettor campaign. 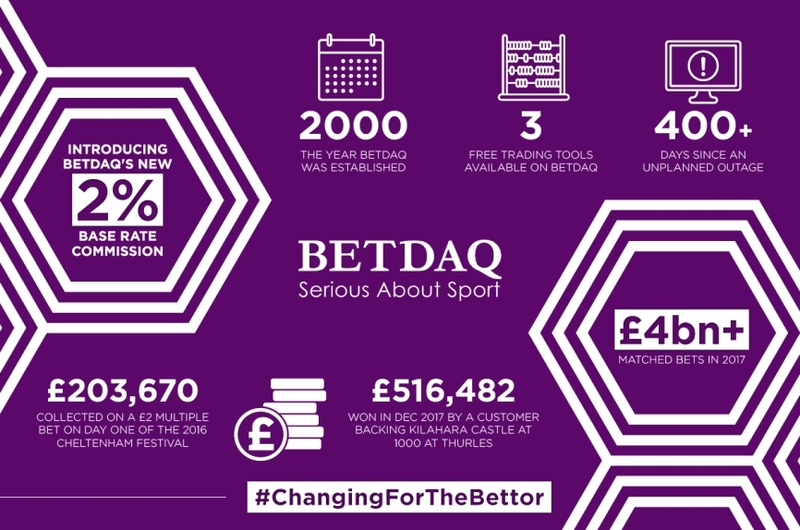 Following the initiation of the simplified and improved value commission structure, BETDAQ will unveil a series of additional changes as it rolls out #ChangingForTheBettor. 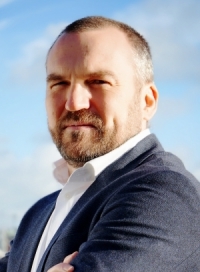 “We have received significant backing from the Ladbrokes Coral Group and together we are are focussed on providing the best betting exchange platform for the world’s most sophisticated players. “We are very excited about the gains the BETDAQ brand can make in the coming months with our new competitive commission structure and focus on product development, better pricing and increased liquidity,” said McLaughlin. As a passionate supporter of sport, BETDAQ is the title sponsor of the Punchestown Champion Hurdle, principal partner of Charlton Athletic Football Club, and includes the Racing Blogger and Tony Cascarino among its ambassadors. BETDAQ is a betting exchange, founded in 2000, acquired by Ladbrokes in 2013, and then later by the Ladbrokes Coral Group.